MMGM: EXILE by Shannon Messenger with a Giveaway! It seems appropriate to come back from another break from Marvelous Middle Grade Monday with a review of EXILE by MMGM founder Shannon Messenger. And I have even better news: I get to meet Shannon tonight! She’s doing a signing at a bookstore five minutes from my house, and I’m taking along a middle school friend of mine to meet her as well. So, to celebrate this momentous occasion, I will get a book signed for one of you lucky readers. Details on how to enter are at the bottom of this post. If you haven’t read the first book yet, you can check out my review for KEEPER OF THE LOST CITIES here. Sophie Foster thought she was safe. Settled in to her home at Havenfield, surrounded by friends, and using her unique telepathic abilities to train Silveny–the first female alicorn ever seen in the Lost Cities–her life finally seemed to be coming together. But Sophie’s kidnappers are still out there. And when Sophie discovers new messages and clues from the mysterious Black Swan group, she’s forced to take a terrifying risk–one that puts everyone in incredible danger. As long-buried secrets rise to the surface, it’s once again up to Sophie to uncover hidden memories–before someone close to her is lost forever. 1. The alicorn – Ok, who wouldn’t love a combination unicorn and pegasus? It’s every little girl’s dream, and Sophie finds one. Of course, it’s not all she dreamed about. It has stinky breath and glittery poop, proving all that glitters is not gold. Plus, there’s a fun twist about it toward the end that I enjoyed. 2. The love quadrangle – It’s so middle school. Sophie’s best friend Dex likes her. She likes Fitz, the boy every girl in school has a crush on but who thinks of her like a little sister. And then there’s Keefe, the overly confident boy who teases her constantly. Personally, I’m voting for Keefe, but the fact that Dex was on the first cover and Keefe is on the second leads me to think Fitz will be on the third, and that can’t be a good sign for the Sophie-Keefe tween romance. Oh well, it’s still fun to watch. Here’s a snippet of the Dex-Sophie-Keefe interaction, following a detention that involved some very stinky plants. “He’s coming over again?” Dex whined, turning several heads. I could go on with it, but you get the picture. 3. Keefe – Ok, I’m not finished talking about Keefe. He was one of my favorite things about the first book, and I still love this boy, mostly because he makes me laugh. Plus, I have a weakness for obnoxious boys. (Love you, honey!) Seriously, though, he really has Sophie’s back in this book. He never doubts her, which makes him even more endearing. However things turn out in the final book, I hope he gets a happy ending. 4. Sophie’s journey – This story has been set up as a trilogy from the beginning, so Sophie obviously doesn’t figure everything out in this book. And yet she takes some significant strides forward in EXILE. I admire the way Shannon Messenger is able to develop Sophie enough to make this book stand on its own from a character arc standpoint and yet still leave room for more growth in the final installment. Well done. 5. The ending – There are a ton of unanswered questions at the end of this book, and yet I was still satisfied with what I learned. It’s tough to end a middle book in a way that leaves the reader wanting more and yet completes one part of the story. Often the second book of a trilogy is a total cliffhanger, and I only appreciate that if the third book is already out. I will definitely be picking up the final book in this trilogy as soon as it comes out, but I’m ok with where the story left off for now. So, here’s the deal on the giveaway. I think I’ll make it more interesting this time. To enter, leave a comment on this post by noon on Sunday, Oct. 27. If you want an extra entry, tweet the contest and paste the link to your tweet in your comment. Only one extra entry per person. North America only. I’ll announce the winner next Monday. Good luck! Not entering because I have a copy to giveaway too. Awesome that you got to meet Shannon. I did too. It was so awesome and it’s been great seeing how many people got to meet her on her tour this time. She was so lovely! And since she had multiple events here, it wasn’t too crowded so we were able to talk quite a while. Keefe is easily one of the best characters in this series! So sweet, loyal, and amusing! I agree, I hope he gets a happy ending in the final book of the series. He plays a much bigger part in this book. I have high hopes for him in the third! Congrats on meeting Shannon, she always seems so sweet. 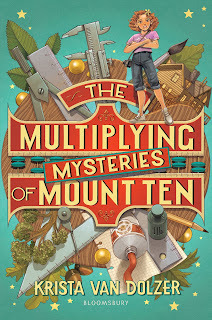 I hope she continues to write more books for middle grade after this series, I really like what she’s written thus far. You know, I should have asked her that, but she’s so committed to MG, I’m sure she’ll write more. We are on the same spectrum today! I’m featuring Keeper. Just got an arc a few weeks ago of Exile (so no need to enter me!) — must read ASAP!! Yes, stop everything and read this one! I have yet to meet someone who read this book and didn’t like Keefe. It sounds like a really good read! I will have to pick up the first if I win Exile! But I won’t mind! 😀 It’s also really cool that you live close where the signing takes place. Wish I could do the same! Yes, it was exciting! We don’t get a ton of signings in St. Louis, so I take advantage when they do come! Ooooh, so cool that you got to meet! I would LOVE this book! I’d also need to get the first if I won this, but looks like I want to read both anyway. Great review! Yes, you should. You’d like her YA book, too–LET THE SKY FALL. There were some people disappointed that B&N didn’t have that one available for her to sign last night. It’s not bad at all. Although as I speculated above, she said last night that she’s trying to get Fitz on the cover of the third book, so that doesn’t bode well for the others. Dex actually wasn’t in this one as much. It will be interesting to see how it all plays out in the end. My son is dying to read this one! Thanks for the giveaway. I’m sure your son will love it. Good luck! Yes, and she’s just as fun in person as she seems online!